I’m sure I spent more time in the water than on land in the past few weeks. When I’m in Malta, I turn into a fish, I practically live in and from the sea. Crystal blue water, secluded bays, and hidden caves under limestone arches are my very own little Mediterranean paradise. And once I’m out of the water, there’s often the freshest seafood on my plate. 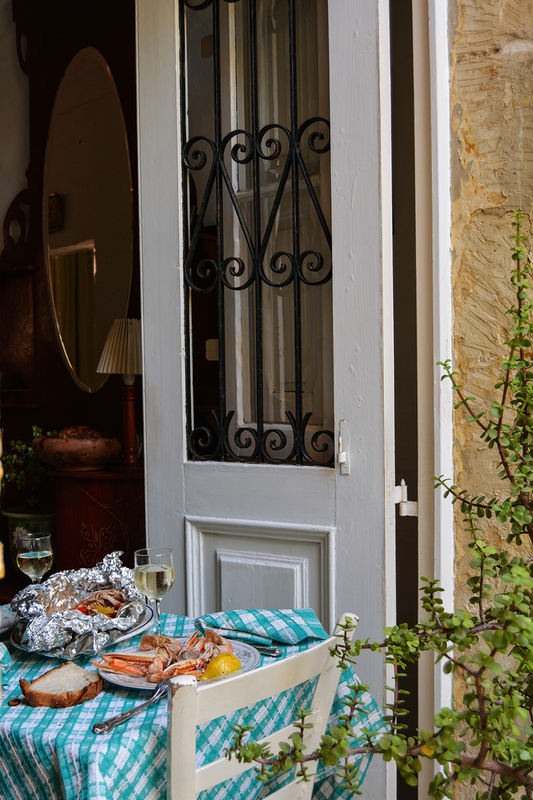 Simplicity rules Malta’s summer cuisine, a whole fish or pink crustaceans from the grill seasoned with a squeeze of lemon and some parsley from the fields, tender octopus in an aromatic stew – great quality ingredients don’t need much to shine. Although I enjoy visiting the islands’ villages on Malta and Gozo a lot, walking down the quiet alleys and stopping for a cappuccino or ice cream at one of the old cafés, if there’s a chance to put my goggles on and snorkel, you can be sure to find me in the water within a split second. In the first week, I went to my beloved Fomm ir-Riħ to sadly find the gravel beach considerably narrowed by clay swept down from the steep hill behind it. The sea was rough, so we didn’t even bother walking down the hidden track along the cliff face. We went to Sliema’s city beach instead and I finished the day with my obligatory sun-downer – a glass of Ricard at the Exiles bar. Sitting on the warm rocks and smelling the salty air – after a dip in the sea of course – is one of the best ways to end a day in the Mediterranean. Another trip took us to Marsaskala, a seaside village that I never really gave the attention it deserves. It’s a very Maltese place, not many tourists, old houses, bars, and palm trees lined up along the promenade where the young and old meet after sunset. 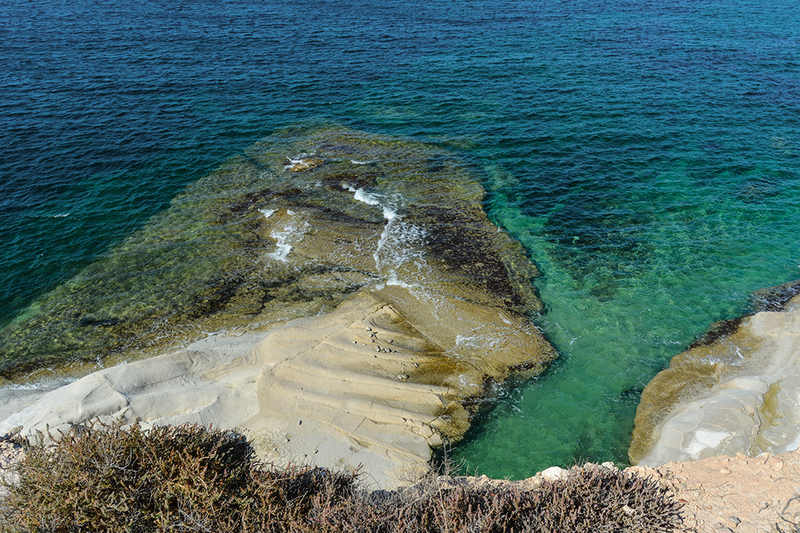 I had a Ftira sandwich for dinner, but before we dove into village life we discovered a beautiful rocky beach north of the Xrobb l-Għaġin Temple. It was so peaceful, the endless sea framed by chalk-white cliffs softly sliding into the water. We were alone there, my Maltese family, my man and I snorkeled and Mama tried to catch our dinner – without success. 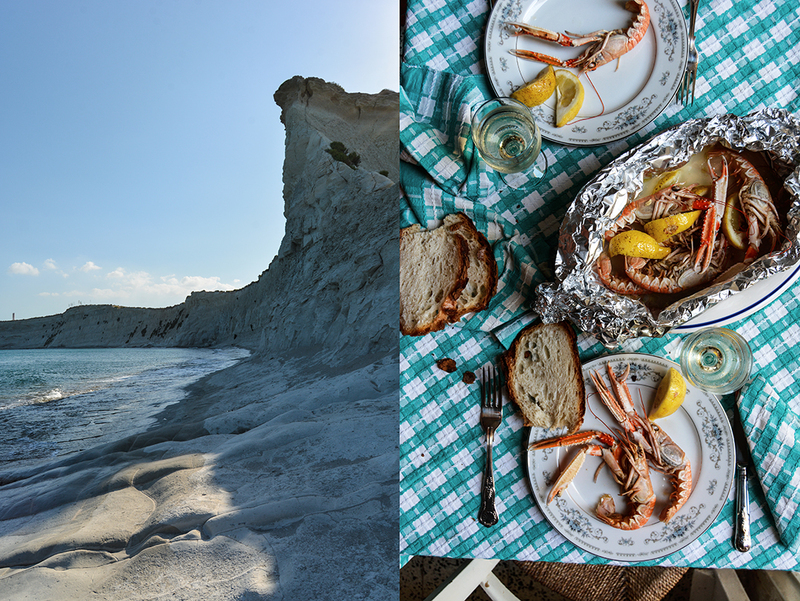 On one of our trips to Gozo, I discovered a recipe that I’d love to share with you today. 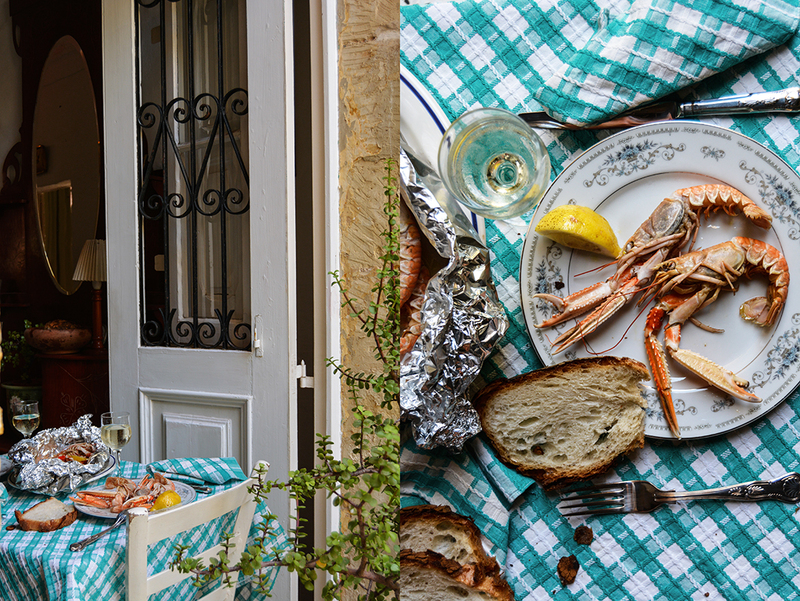 Noel, the excellent chef at his open-air restaurant at the deep Mgarr ix-Xini bay – which is a bit tough to find – cooked the sweetest langostini al cartoccio in seawater. 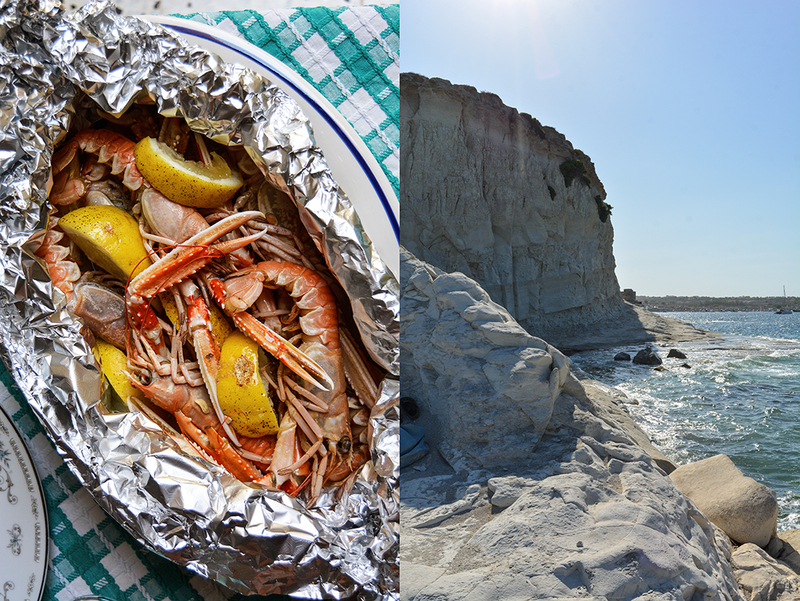 He doesn’t have to go far, a few steps from his place he finds the cleanest Gozitan sea, always at hand to cook seafood in his preferred method: wrapped in a package, al cartoccio, with a splash of seawater, on the grill. 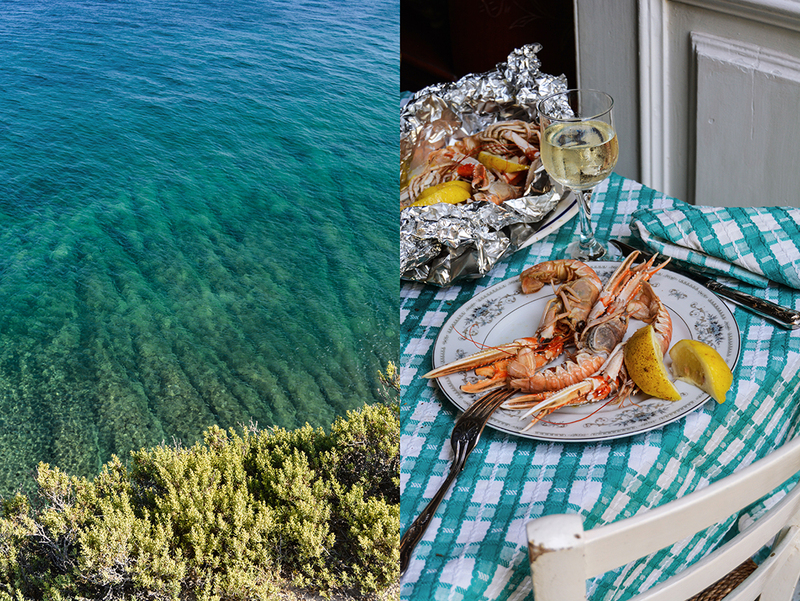 Don’t worry if you don’t happen to live at the sea, just use normal water mixed with the best sea salt you can find, that’s what I did in my Maltese Mama’s kitchen. We got Maltese langostini, which are the sweetest I know. 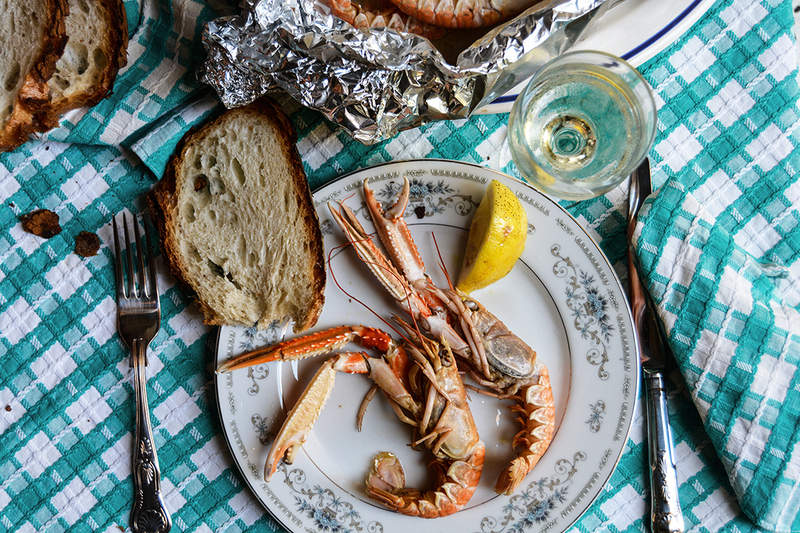 Noel’s crustaceans were a little smaller than ours and tastier, however, my fish monger only had the larger size. You just have to add some lemon wedges to the package and cook it on the grill for a few minutes (or in the oven). They cooked to perfection, with a gentle touch of the salted water. I used Gozitan salt, which I find not only subtle in saltiness, but also tastier than any other I’ve tried. Choose a good one, it’s worth it when you follow simple cooking. 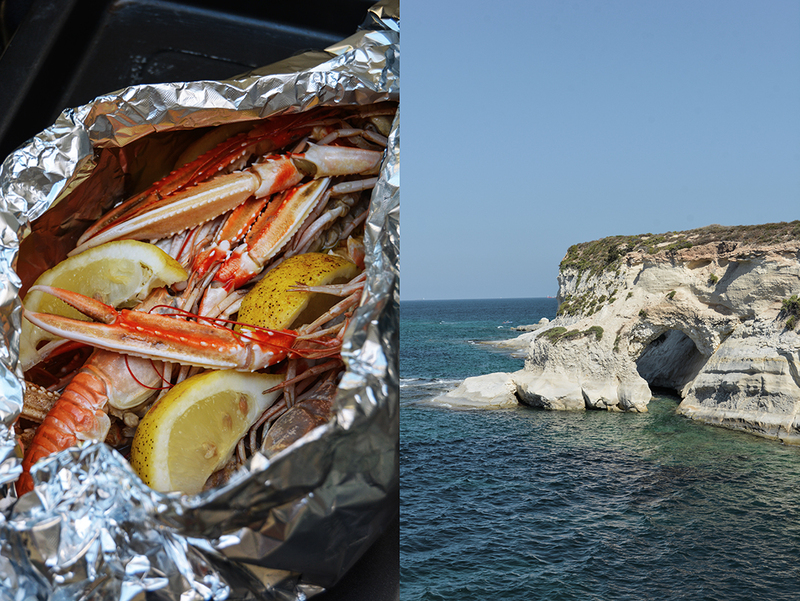 You can cook the langostini on the grill or in the oven. Start the grill or preheat the oven to 200°C / 400°F (conventional setting). 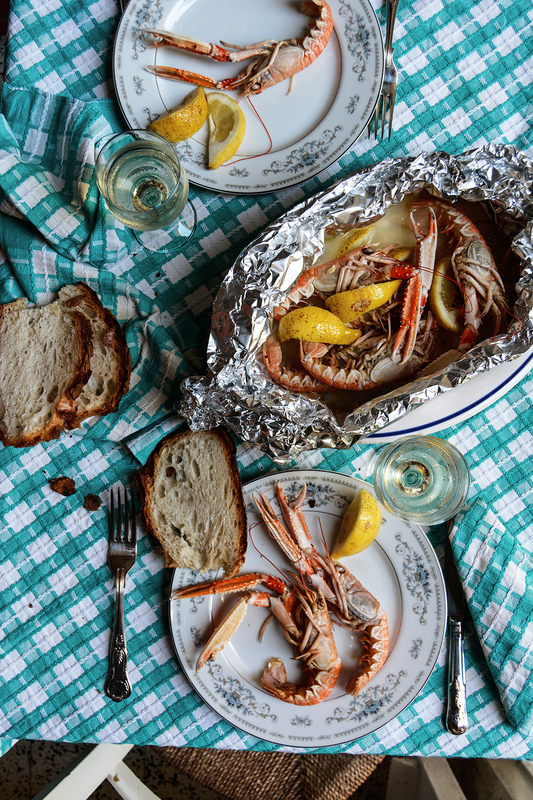 Lay 2 pieces of aluminium foil on top of each other, large enough to wrap the langostini. Stir the salt into the warm water and let it sit until the salt dissolves. Or, if you happen to live close to the clean sea, use the same amount of fresh seawater. 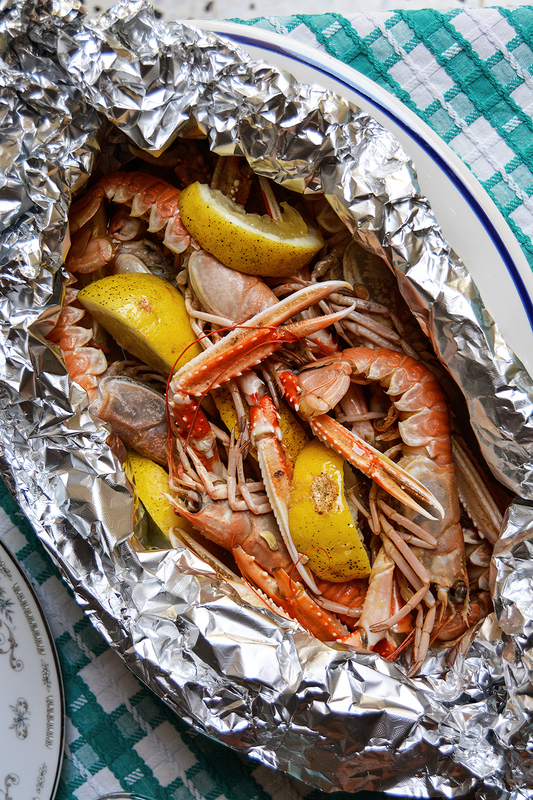 Lay the langostini in the middle of the aluminium foil and fold up the sides. Add the salted water / seawater, a generous splash of olive oil, and the lemon wedges. Wrap the package and seal the ends well. 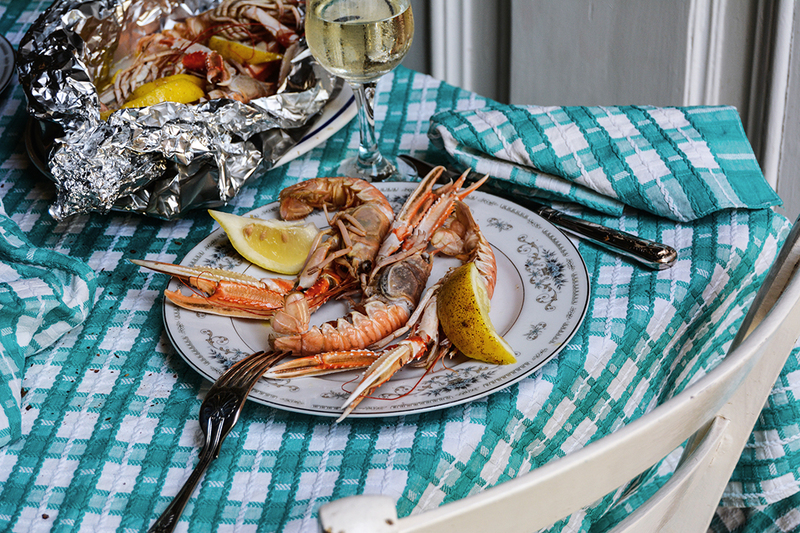 Cook the langostini for about 3-5 minutes on the grill (I closed the lid of the grill), or in the oven, until they are just done. 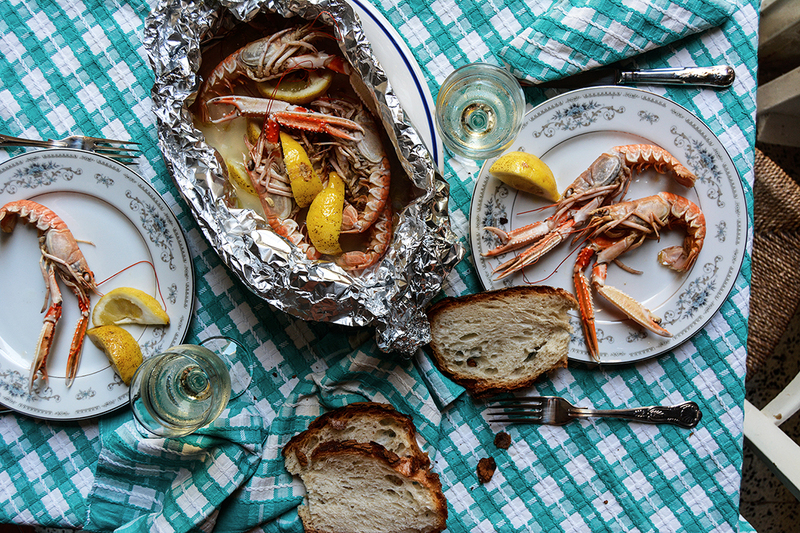 Serve immediately with fresh bread and, if you like, a glass of chilled white wine. I am so incredibly jealous! Discovered a few weeks ago your blog through Instagram and since then every day I read a little piece and enjoying it very much! Already cooked several of your recipes with great results and your book arrived a few days ago! I lived for a while in Malta and I loved living there and love Malta, so you can imagine how much I enjoy your photos, comments and stories of Malta! With a big hug from Bahia, Brazil! What a beautiful adventure you are experiencing! Your photos are breathtakingly beautiful! And as always, your recipes, delicious! Thank you very much, Mary! Malta is a beautiful, inspiring country!